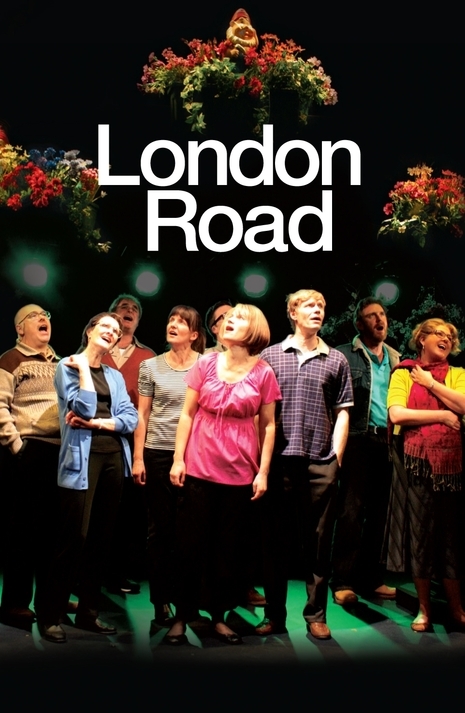 I hadn’t intended to revisit London Road at the National Theatre even as it scored a much-deserved extension to its run: I adored its daring invention and its deep empathy for its protagonists when I first caught the show at the Cottesloe, but when a ticket on the ultra-bargainous row T popped up on the website (seriously, this is one of the best theatre tips you will get) I just couldn’t resist returning. And it was well worth it. It is such a unique show with surprising levels that it was a real pleasure to take it in a second time, from a different seat too, to soak in some of the details that had passed me by first time round and gain a slightly different perspective on it too. My original review can be read here and it is interesting looking back at what stood out for me about it on first viewing and how much my opinion was reinforced second time around. Kate Fleetwood and Clare Burt broke my heart all over again with their portrayals, but I really did notice how good everyone is in the show, Rosalie Craig too but particularly the men whom I previously neglected a bit, Hal Fowler struggling to get a word in edgeways, Paul Thornley’s handsome normality, Duncan Wisbey’s blokiness. And having heard the music once, it was interesting to see how much familiarity there was given how untraditional the score is, the repetition of key phrases having earwormed their way into my brain, combined with some just beautiful harmonisation: 'London Road in bloom' is probably the prime example of the quirkiness and emotional power of the music and highly effective in demonstrating early on the potential of this verbatim musical artform. I also enjoyed the more panoramic viewpoint compared to the intimacy of being in the onstage pit last time. From there one felt right in the midst of the action, a part of the meetings and competitions themselves, but from row T there was a better sense of the bigger picture of the show, the approaching ensemble scenes had more impact as did one of the most devastating deployments of silence, a scene which didn’t quite hit the mark last time round for whatever reason. But the show also gained some extra resonance coming so soon after the riots – it is entertaining and effective in and of itself but it also now presents a message of an opportunity that lies in front of us. What it offers, in light of the turbulent events of the last week, is a reminder of the potential strength of community and communal action. Being able to harness the emotion provoked by adversity into positive action – as was seen on the streets of London with the wonderful #riotcleanup campaign and as we see on stage in the London Road in Bloom competition – is a tremendous thing. But there’s also something a little sad in the honest truth that it almost always takes horrendous events in order for this to happen, this sense of community lies dormant for the most part. It is easy to scoff at, and indeed many people have done so, Cameron’s Big Society agenda and I am no fan – I have had to pick through its insidious effects on the voluntary and community sector groups with whom I work in my day job – but at the heart of it, there is a salient point, if we put the criminal under-resourcing of the sector to one side. We really ought to be more community-minded as a society in general, easier said than done especially in a complex multi-cultural and multi-layered city like London with rich and poor living side by side in almost every borough to be sure. But we could help to change the mindset around actions such as these: not be too surprised at acts of random goodwill and treat them with a nostalgic diffidence (how many mentions of the ‘Blitz spirit’ have there been...) but embrace them as part of our everyday living and think about how we all can contribute on whatever way we can. There are no easy answers for what happened or quick and easy solutions to fix the problems that underlie it all. But we can take the lessons that are offered to us: both in untempered real life – take a look at the #riotcleanup website to see if you can offer any assistance – but also in this extraordinary rendition of the real lives of the London Road residents. Unafraid to show the complexities of the situation and the all-too-human reactions to it, the unsentimental depiction of the growth of a genuine community shows us how even something as simple as putting up a hanging basket can begin to make a world of difference.